Integrity Marketing Group, today announced that it has acquired Eldercare Insurance Services, Inc., one of largest Senior Market insurance marketing organizations in the United States. As part of the deal, company owners Tony and John Bettis become owners in Integrity. With over 30 years in the industry, we are confident that we can help you take your business to the next level! Whether you are new to the business or a 20 year veteran, we are here to help. Take a moment to familiarize yourself with our exciting portfolio of carriers and products you will find that we only represent the best! Once you begin a relationship with Eldercare you will have access to nationwide quote engines, production reports, view company appointments, writing numbers in all states you are appointed just to name a few. We offer customized lead programs, training from the best agents in the country, prospecting tools, contest incentives and much more. Our goal is not only to train you how to maximize your time doing what you do best, but also to build a relationship that last for many years to come. Our company is run by veteran agents that understand and respect what you need to be successful. You are not just a number to us! Call today and let us start working for you to ensure your continued success in the most booming industry in the country! Free online rate quotes for Medicare Supplement, Medicare Advantage, and Final Expense. Receive leads from a varity of sources including downloadable lists, mail-outs, and a T65 map. Your business earns reward points that you can redeem in an online shopping mall. We provide regular webinars and other training material to assit you. We can provide a custom site to get you in front of your clients and generate new leads. Our agent services department is standing by to assist you with anything you need. With over 30 years in the industry, we are confident that we can help you take your business to the next level! Whether you are a new agent or a 20 year veteran, we understand that our investment in your success makes the difference in your career, and we are here to do exactly that. Take a moment to familiarize yourself with our exciting portfolio of carriers and products and you will find that we only represent the best. Once you begin a relationship with Eldercare you have access to our nationwide quote engine, Turning 65 leads, production reports, and writing numbers in all states you are appointed. All of these tools are right at your fingertips with our one-of-a-kind mobile app and mobile-friendly website. Our experienced and educated team is just a phone call away to assist you with any issue at any time, and we won't leave you without a solution. We offer customized lead programs, prospecting tools, first-class incentives and much more! We pride ourselves on training you how to maximize your time doing what you do best, and developing a relationship with you as an individual. We are so confident you will be pleased with the services you receive through Eldercare that we offer an open release policy- if you ever become dissatisfied, you can walk away with no obligation. You are not just a number to us! The foundation for success at our company is loyalty to an entrepreneurial spirit. We guarantee our ability to offer the most competitive products with the best commissions available to offer the most competitive products with the best commissions available through our volume of sales and independent status. our young and energetic community of professionals create an environment of opportunity, success, innovation, an growth- all based on the foundation of 30 years of industry wisdom. Once you've been introduced to our ease of contracting and extensive portfolio of insurers, we're confident you will want to be part of our team! Agents are our priority and it shows- thousands of agents trust us to provide them with the highest level of agent service and cutting edge technology to place them above the competition. Join them in their success... and join us to experience the Eldercare difference. 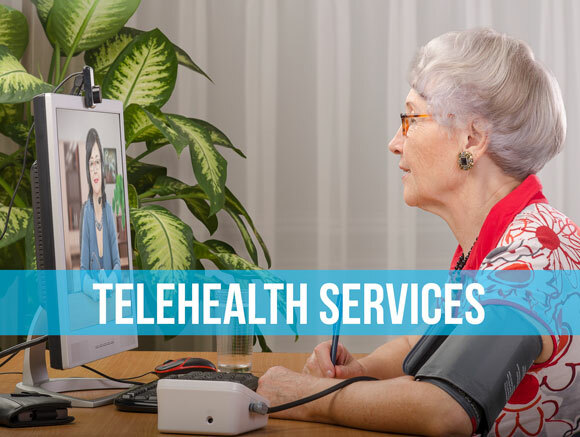 The rule, proposed in October 2018, allows seniors to use telehealth services in their homes, rather than being required to go to a healthcare facility. The change was called for by the Bipartisan Budget Act of 2018. The regulation is set to appear in the Federal Register April 16. This rule change could lead to a dramatic increase in use of telehealth services by all Americans. The Medicare Advantage program gives private insurers a chance to offer plans that serve as an alternative to traditional Medicare Part A hospitalization coverage and Medicare Part B outpatient and physician services coverage. Carriers go through a complicated bidding process to get plans into the Medicare Advantage program. In the past, Medicare Advantage plan issuers had to offer telehealth benefits, such as care delivered through videoconferencing, as supplemental benefits. Plans would reimburse providers for telehealth services only if the patients getting the services were in medical facilities in rural areas. CMS wants to avoid limiting plans to covering telehealth services provided in specific information formats, or through specific technologies, officials say. CMS says plans must continue to provide coverage for traditional, in-person care for any services that will be covered through telehealth services. A plan cannot, for example, cover dermatology visits through videoconferencing and end coverage for in-person dermatology care. Because of statutory provisions, issuers must exclude the cost of setting up telehealth program infrastructure from their bids. CMS officials say they’re trying to interpret that provision in a narrow way. The bid for basic benefits submitted by a Medicare Advantage plan must simply exclude capital and instructure costs directly or incurred by the Medicare Advantage plan itself, officials say. Officials say they will not give a specific definition of “capital and infrastructure costs or investments” because telehealth strategies and costs will vary from plan to plan. There is no better time to get started on the Eldercare platform. All you need to do is register to get started immediately.